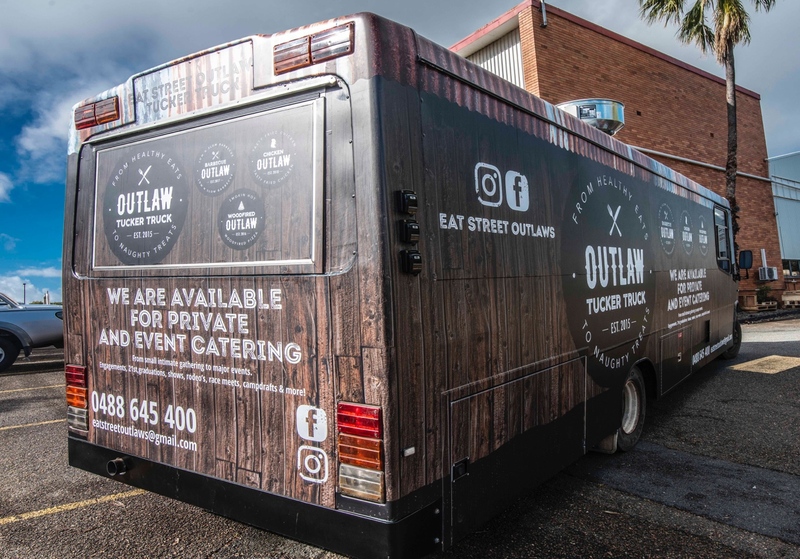 Just hit town with guns ablazing in Charters Towers, North Qld is the Outlaw Tucker Truck, a converted 1980s Mercedes school bus. 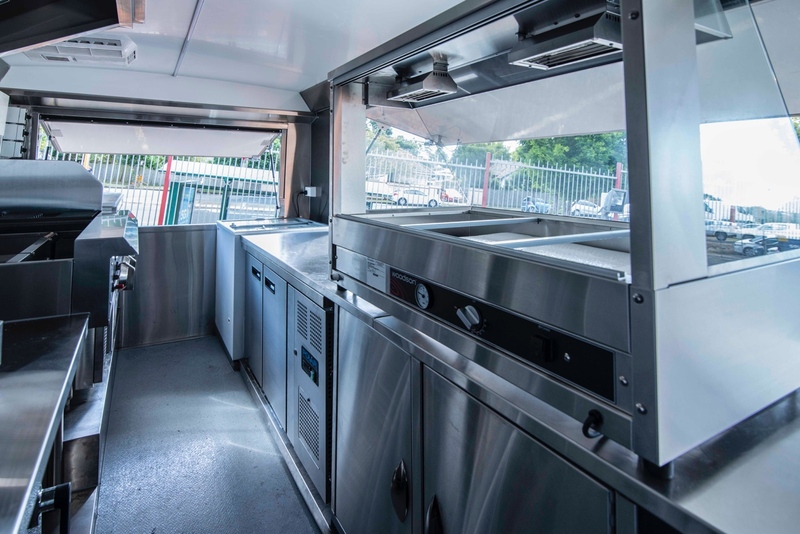 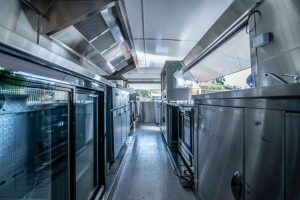 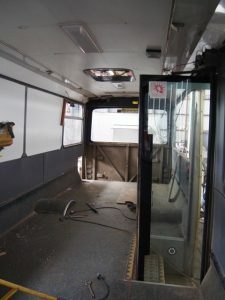 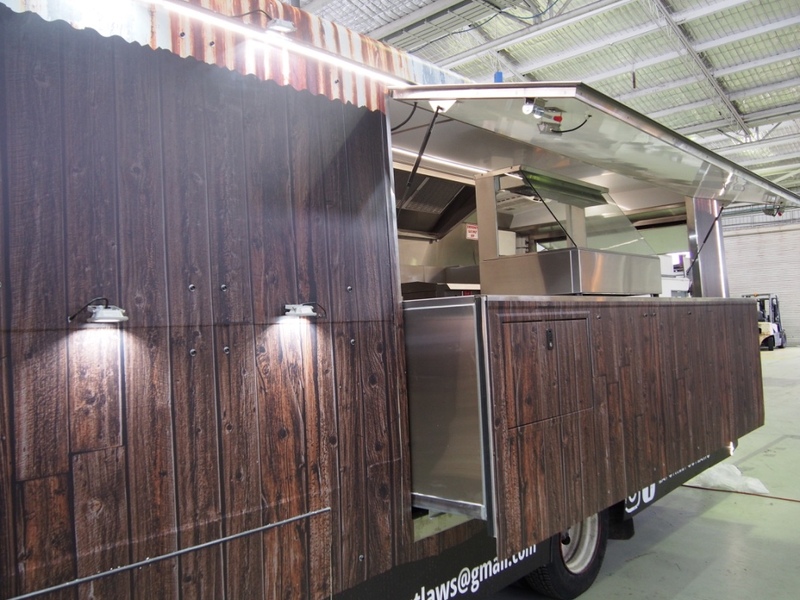 The Van Demons crew stripped out the interior of the existing bus and have built a full commercial kitchen within. And what a transformation! 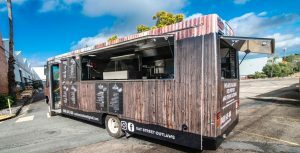 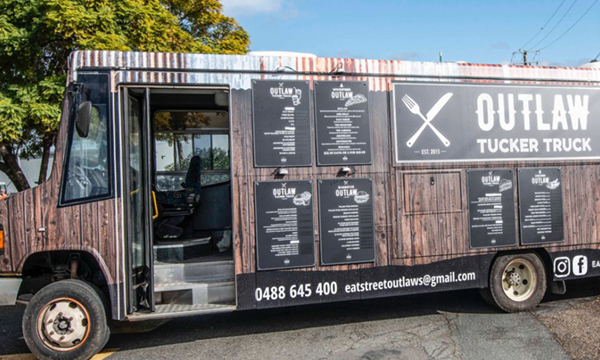 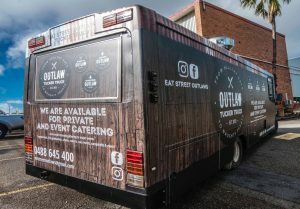 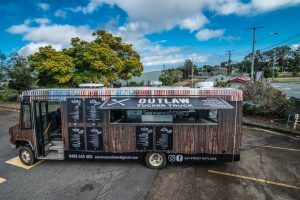 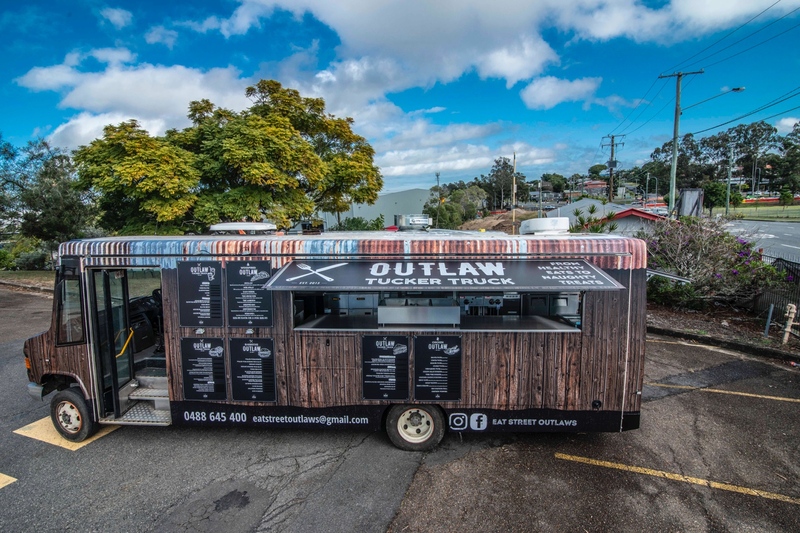 Featuring a push-out serving counter to allow for more room internally, air conditioning, two service windows, a pizza oven, kebab machines, three deep fryers, a massive custom built commercial range hood, hot and cold bain-maries, a pie warmer and plenty of refrigeration, we reckon Julie and her Outlaw Tucker Truck are capable of feeding the whole Charters Towers population! 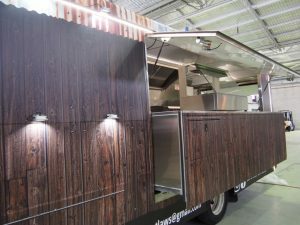 Loving the tin shed style wrap on this too!